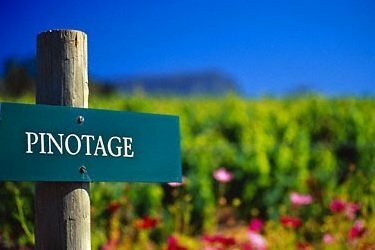 We recently enjoyed a red wine from South Africa called Pinotage. I understood it was a blend of two wines, Pinot Noir and Cinsaut then discovered it is a clone of Pinot Noir. Or is it? This grape is considered to be the signature grape variety of South Africa is not a clone of Pinot Noir, it is actually a cross between the two grapes Pinot Noir and Cinsaut. The variety was created in 1925 by Professor Perold of Stellenbosch University. 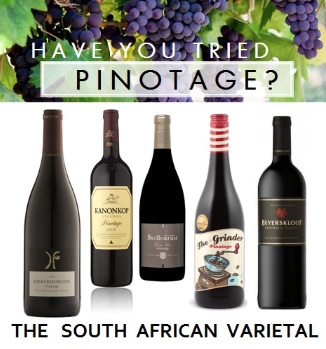 At the time, and occasionally today, Cinsaut was commonly called Hermitage in South Africa, hence the contraction Pinotage. CONGRATULATIONS TO @TheNancy2880, winner of this prize. Your prize has been shipped to you in time for Valentine’s Day! It’s easy to win. What’s your favourite wine and chocolate pairing? Perhaps strawberries and Champagne or a Barolo with extra dark chocolate? Tweet #TWLValentinesContest and re-tweet as often as you like! One winner will be picked at random. Simply tell us your favourite pairing! !Visit The Wine Ladies Facebook Page and LIKE US. Winner will be drawn at random and announced on The Wine Ladies Facebook page The Wine Ladies Friday February 6th,2015 at noon. Good luck everyone. We do love the idea of pairing wine with chocolate, and with Valentine’s Day around the corner the timing couldn’t be any better! 2. 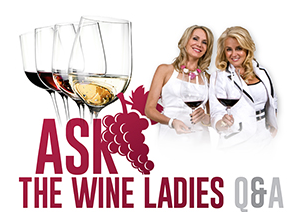 From Friday, January 23rd,2015 9:00am EST until Friday February 6th,2015 at noon,Friday,NOON EST tweet and re-tweet and follow @TheWineLadies. Below is an example that you can use and modify as you see fit. @TheWineLadies my favourite pairing dark #chocolate & #Barolo #TWLValentinesContest I wanna win! 3.Each time you tweet (or re-tweet our Tweets) using the hash tag #TWLValentinesContest your name will be entered into our draw for a chance to win the prize. Keep entering as often as you like. Be sure to add @TheWineLadies at the end of your Tweet as well to help track it. The winner will be randomly selected at 6:00pm on Friday, February 6th, 2015 and will be notified via TWITTER and FACEBOOK. A few tips on wine and chocolate tasting. For planning your Valentine’s Day date, think about offering a range of chocolates, maybe five or six, with a varying degree of cacao content resulting in different levels of sweetness and pure chocolate strength. Consider too, chocolates that contain nuts or toffee, opening up additional possibilities. Next select a range of wines, keeping in mind that in general sweeter wines such as icewines, sherry, tawny port or a Banyuls from France pair really well with chocolate. Throw in a fruity Zinfandel too for a different experience! don’t forget, it’s all about personal taste! 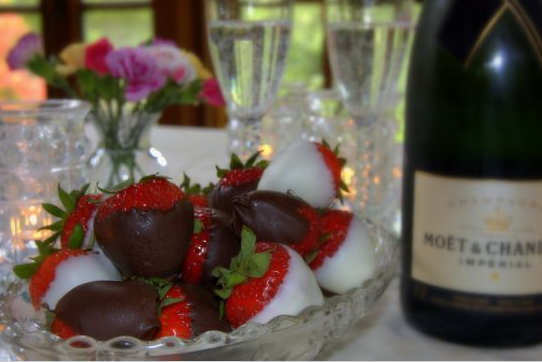 Many sommeliers and experts love the pairing of dry Cabernets or fruity wines with dark chocolate while others opt for the classic, and romantic chocolate dipped strawberries and Champagne. 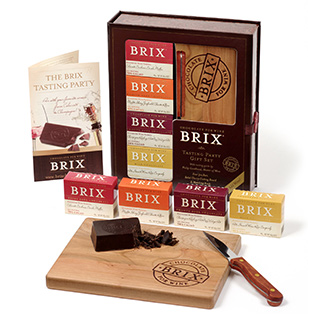 Another option, making life simple and taking out the guesswork would be to consider the absolutely delicious chocolate on the market called BRIX; the first ever to be crafted specifically to pair with wine. After much trial and error, the founder Dr. Proia an Ohio pulmonologist (who appreciated the antioxidants found in both wine and chocolate) developed three blends of chocolate with their root being of single origin Ghanaian chocolate known for their red fruit tones particularly suited to wine. A few chocolate tasting tips that we’ve picked up over time include the advice of chocolatiers and connoisseurs to not bite into the chocolate, but rather to allow the chocolate to slowly melt in your mouth maximizing the full range of flavors, texture and finish. Sample the wine first on its own, and then sample the chocolate. Next taste the wine again along with the chocolate in your mouth. Is the sum of the parts greater than the whole? Notice if certain flavors of either the wine or the chocolate are heightened or perhaps diminished? Share your taste experience and your thoughts with the others. Be sure to provide your guests with several palate cleansers such as fresh bread, simple crackers and pitchers of water. A selection of fresh cheeses accompanied by fresh fruit would round out the evening beautifully! Listen to Dr. Nick Proia at 41:17 minutes into the show. Rosehall Run JCR Pinot Noir 2011, Georgia’s Wine Pick. https://www.thewineladies.com/wp-content/uploads/2011/03/images_chocolatestrawberries.png 362 542 Susanne Seelig-Mense https://www.thewineladies.com/wp-content/uploads/2017/08/WineLadiesLogoTransparent.png Susanne Seelig-Mense2015-01-23 12:39:072018-05-21 07:29:44Tweet to Win Chocolate and Wine for your Valentine! Brix Chocolate. Happy New Year everyone! Hope you all had a fantastic holiday season and are ready to welcome all that 2015 has to bring! And what a way to start off the year as Canadians! With huge Congratulations to our Juniors in hockey for bringing home the GOLD in the World Junior Championship! Way to go team! Yes you were there Georgia, and what excitement!!! 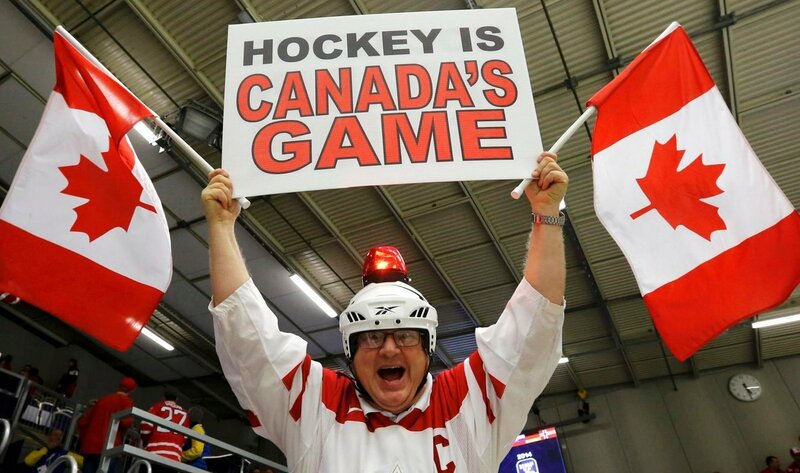 We think we can safely say Canada is hockey…and hockey is Canada!!! But do you know what else is Canada? Something that consistently brings home the gold, also known as liquid gold! Its our Icewine! Ooh yea, got that right, that delectable, luscious, seductive dessert wine also known as the Nectar of the Gods! 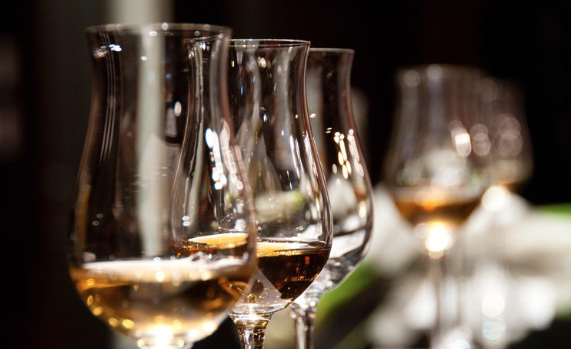 On this week’s radio show we explore all that is our iconic Icewine. This special wine that literally put Canada on the world-wide wine map! What makes it so special, how its made, and no we don’t put the grapes in a freezer, but some do,a commercial freezer that is…so we’ll learn all about it, the risks, the rewards, and the amazing taste profiles! And to help us do all that and also chat about some of the other award winning still wines coming out of this region… Joining us today, 3 guests from different wineries, all located in our beautiful Niagara-on-the-Lake and stops on our Shimmer of Gold Icewine Tour coming up January 25th. We are going to start off by welcoming Stacey Mulholland from Canada’s most awarded winery Jackson Triggs…founded in 1993, a must see and experience winery. Listen to Stacey on the show at 7 minutes eleven seconds into the show. 1st winery stop: Jackson-Triggs Niagara Estate.Canada’s most awarded winery and have been named “Best Canadian Winery” an unprecedented number of times in international and domestic competitions. 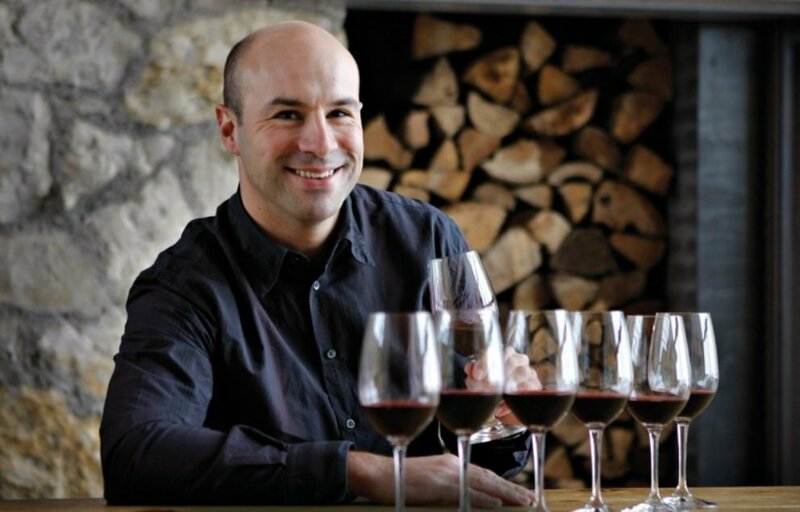 Meet winemaker Marco Piccoli. 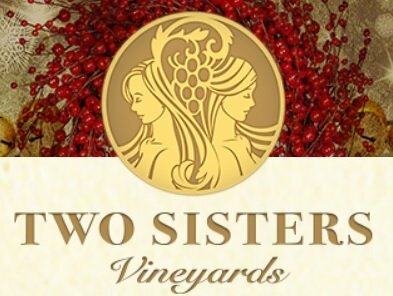 Then we’ll welcome Adam Pearce, the winemaker for Two Sisters Vineyards, one of the newest kids/wineries on the block in Niagara… a sister duo, Melissa & Angela Paoliceli, this winery garnering huge accolades right out of the gate on Adam’s wines, and with an award winning chef in their restaurant at the winery Kitchen 76 where we will be stopping in for a superb lunch on our tour!! Listen to Adam on the show at 19 minutes fifty one seconds into the show. 2nd winery stop: Two Sisters Vineyards. Niagara’s newest premium winery. VIP wine tasting and enjoy a delicious local lunch at the winery. 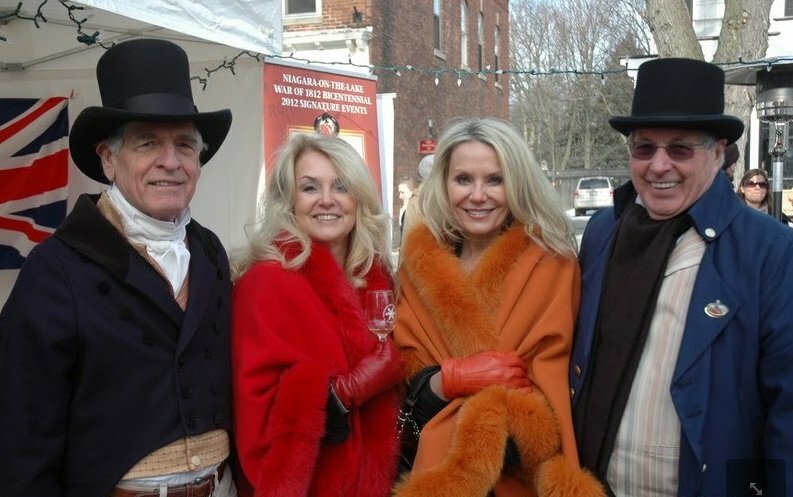 And to top off this trifecta… From the largest estate icewine producer in the world, revolutionary in producing some of the world’s most rare icewines…Charlie Pillitterri, the CEO of family owned Pillitteri Estates Winery will join us… to chat about the world wide thirst for this specialty wine Today they produce over 13 different styles of Icewine, far more than any other winery in the world. Listen to Charlie on the show at 35 minutes eighteen seconds into the show. 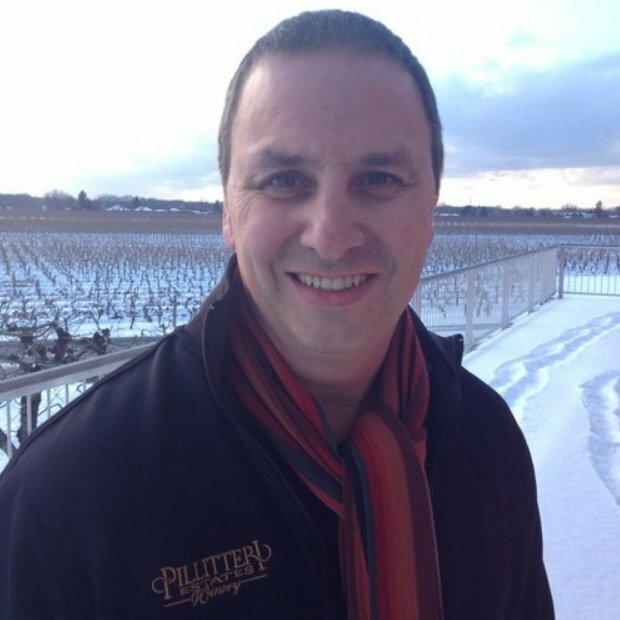 3rd winery stop: Pilliterri Estates Winery.Enjoy this stunning wintery in the heart of Niagara-on-the-Lake and meet proprietor Charlie Pillitteri.Experience a VIP cellar experience. We’ll close off the show with a special guest. 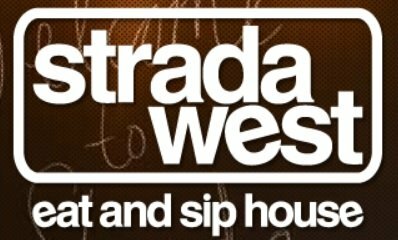 The proprietor of Strada West Eat and Sip House, located in Niagara Falls, where we celebrated Susanne’s birthday. It was a great night,so much fun, we’ll chat with Tom Roberto, the proprietor of this “have to be in the know” place to go, its where the locals go! Everything home made and delish! Listen to Tom on the show at 49 minutes twenty eight seconds into the show. 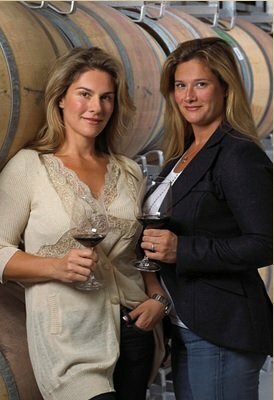 Join us Jan 25th for The Wine Ladies Shimmer of Gold Icewine VIP Tour. Just a few tickets remain. 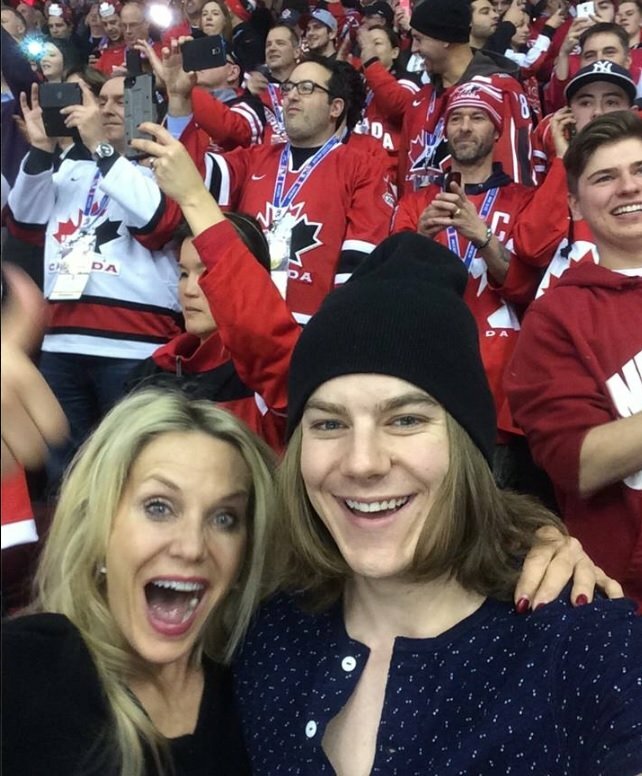 https://www.thewineladies.com/wp-content/uploads/2015/01/images_CanadaHockeyGame.jpg 784 1325 Susanne Seelig-Mense https://www.thewineladies.com/wp-content/uploads/2017/08/WineLadiesLogoTransparent.png Susanne Seelig-Mense2015-01-14 13:54:532018-05-03 16:43:50On this week's audio podcast...Icewine, Canada's Nectar of the Gods! My wine pick this week is from South America, although not from Chile but from Argentina. Another region making superb quality,value wines and this one is a standout! The producer, family owned Bodega Catena Zapata, is known for their high quality wines. It has been making wine for multiple generations. They have vineyards planted in Mendoza at varying altitudes each vineyard bringing something unique to the final blends. My pick the Bodega Catena Malbec 2012 is a blend of grapes from four vineyard sites. Each bringing something special to the wine. The result a wine of intense aroma, with black fruit, floral notes, spice, black pepper, complex and with a lasting finish. I thought delish for $19.95. 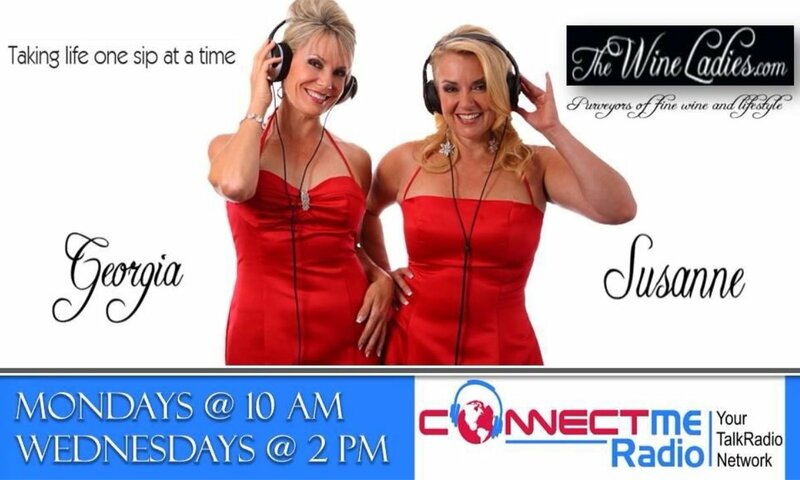 TUNE INTO THE WINE LADIES RADIO SHOW at 4:17 minutes to hear it. On this week’s radio show… Episode #16 (WL 01-12-2015) Icewine… Canada’s Nectar of the Gods! 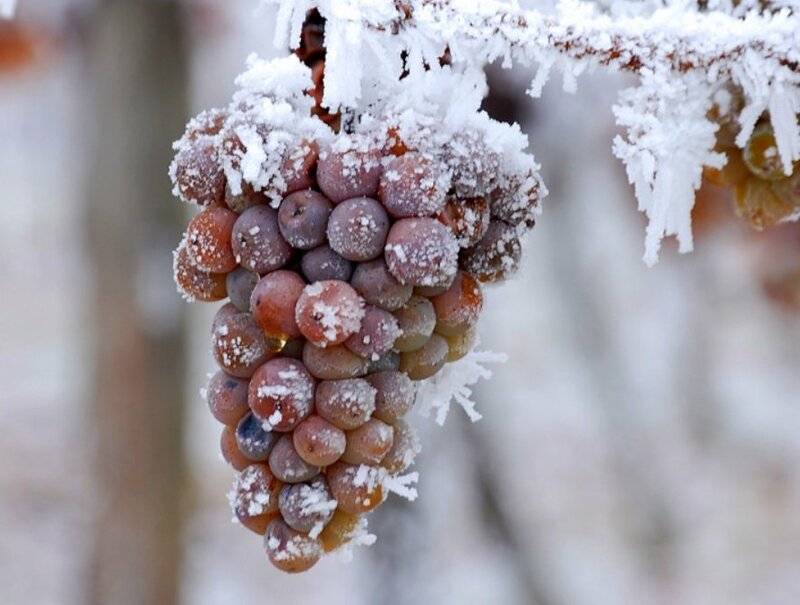 we explore all that is our iconic Icewine, this special wine that literally put Canada on the world-wide wine map! What makes it so special, how its made, and no we don’t put the grapes in a freezer, but some do,a commercial freezer that is…so we’ll learn all about it, the risks, the rewards, and the amazing taste profiles! https://www.thewineladies.com/wp-content/uploads/2015/08/images_CatenaZapata.png 205 506 Susanne Seelig-Mense https://www.thewineladies.com/wp-content/uploads/2017/08/WineLadiesLogoTransparent.png Susanne Seelig-Mense2015-01-12 15:22:442018-03-31 16:33:45Bodega Catena Malbec 2012, Susanne's Wine Pick. So the new year is upon us and it might be a time for some us to do a little budgeting. We may have stretched ourselves a little bit. But not to worry, no need to put away the wine glass or cut back on a good glass of wine… we’ve got delish budget wines to the rescue! So for me, we had a lot of folks over at my place during the holidays. 14 to 15 people for dinner for quite a few nights. So I found myself a great deal, that everybody loved… and when I unveiled it and told them the price… their jaws dropped! 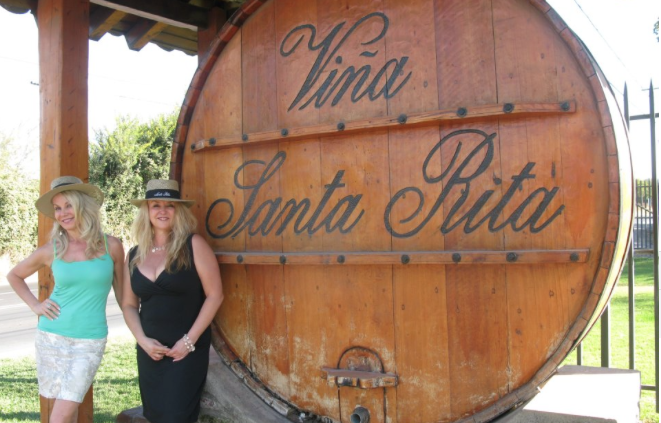 My find from Vinas Santa Rita… the Santa Rita Cabernet Sauvignon Reserva 2011, from the Maipo Valley in Chile… $13.95. We actually stayed at this incredible property at the Casa Real hotel, hundreds of acres of stunning vegetation, hundred year old trees, just beautiful! The winery founded in 1880 produces amazing wines of terrific value! This Cab a blend of the best Cabernet Sauvignon barrels in the vintage, aged in French and American oak… concentrated rich flavours, hints of spice, of oak and with soft tannins… big juicy berry flavor Go and get yourself a bottle, delish for $13.95 in our market. 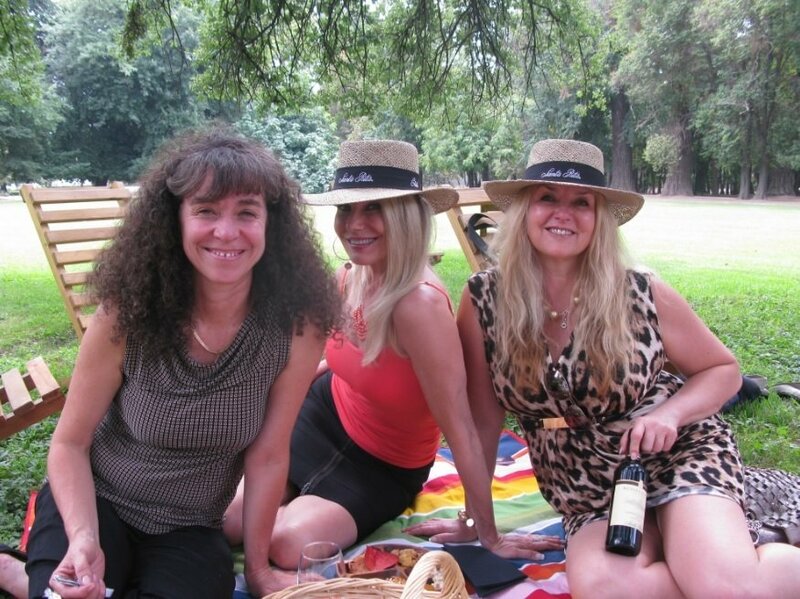 During our trip to Chile in 2011 we stayed at the Casa Real Hotel located at Vinas Santa Rita.We enjoyed a lovely picnic one day with food and wine journalists from the country of Chile. 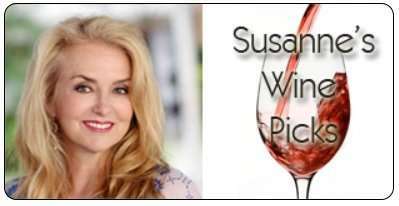 https://www.thewineladies.com/wp-content/uploads/2015/01/Screen-Shot-2018-03-31-at-4.48.44-PM.png 496 661 Susanne Seelig-Mense https://www.thewineladies.com/wp-content/uploads/2017/08/WineLadiesLogoTransparent.png Susanne Seelig-Mense2015-01-12 14:11:572018-03-31 16:54:06Santa Rita Cabernet Sauvignon Reserva 2011, Georgia's Wine Pick.